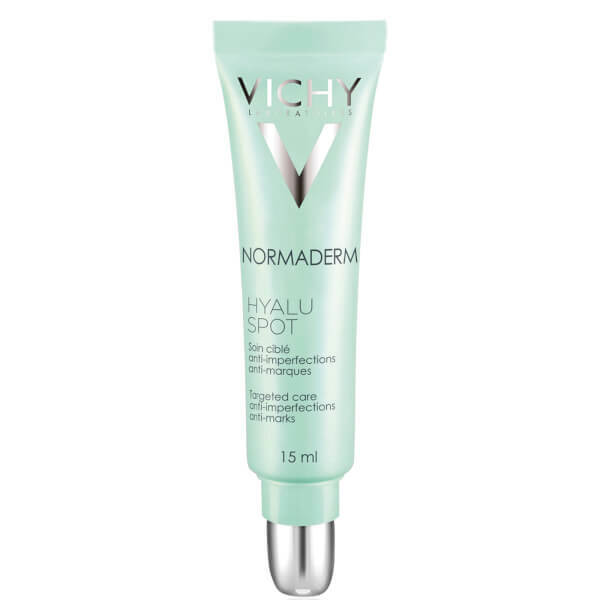 Combat spots with the Vichy Hyaluspot from the premium skincare and cosmetics brand’s dermatologically-tested blemish-fighting range, Normaderm. Ideal for acne-plagued skin types, the fast-acting, targeted formula helps to calm and minimise the severity of imperfections by creating an invisible and protective film on the surface of the skin to protect areas of inflammation. 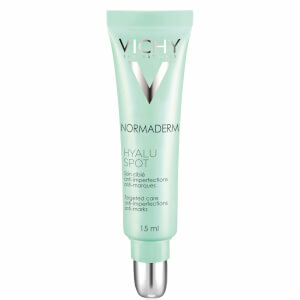 Powered by Salicylic Acid and LHA (beta-lipohydroxy acid) – two keratolytics effective in preventing microcomedones from forming – the treatment delivers gentle chemical exfoliation, whilst Hyaluronic Acid and Vichy Thermal Spa Water replenishes mineral-rich moisture that is crucial in reviving skin for enhanced radiance and youthfulness. Step 2. Apply your usual serum and moisturiser to a dry face and neck. Step 3. 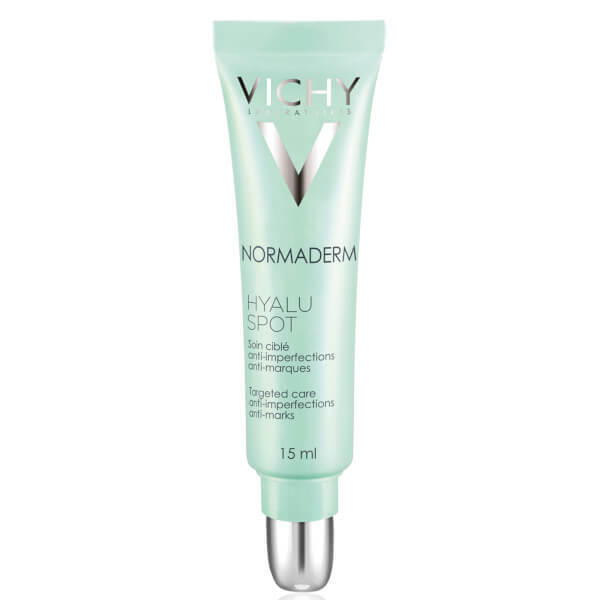 Apply Normaderm Hyaluspot directly to the spot using the applicator. Use day and night. Avoid eye area.